4 May 2014 wcalvinandersonmedLeave a Comment on USA : The Steve & Marjorie Harvey Foundation – A Dynamic Due with a Purpose! USA : The Steve & Marjorie Harvey Foundation – A Dynamic Due with a Purpose! 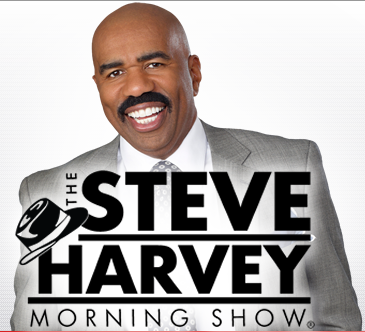 Steve Harvey does so…much professionally and a great deal to just give back to humanity. The favorite time for me spent with media mogul, is during the Steve Harvey Morning Show at 6 am in New York when he — just speaks from the heart and mind about being self-aware, thankful and reflective of personal successes and failures. This public chat… not only makes this successful individual all-too-human it for me shows how everyman can become a practical “Man of God” without quoting anything but universal principles. My message from him morning after morning has been.. “understand that God loves me and is greater than me. He has my back and if I can get out of His way and not know so much…I can enjoy more of the joy and abundance He has intended for me.” Thanks Steve at any age it’s great advice. The mission of The Steve and Marjorie Harvey Foundation is to provide outreach to fatherless children and young adults, by promoting educational enrichment, one-on-one mentoring and global service initiatives that will cultivate the next generation of responsible leaders. To expand the Girls Who Rule the World™ program to multiple markets. The “Helping Hand Award” honors individuals who make a measurable difference in the lives of young men and women. Through their careers or philanthropic efforts they serve as responsible role models to our youth. In addition, we honor corporations and organizations that show a consistent commitment to empower and enhance the lives of young people and/or under-served families in their communities.